‘WEIRD HAND LINES QUIZ’ (1) – 9 lines & 9 names: what are the connections? Palmist Nisha Ghai from New Delhi says: palmistry is a science! 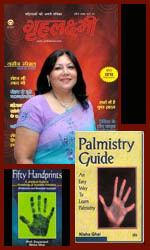 Palmist Nisha Ghai says: palmistry is a science! 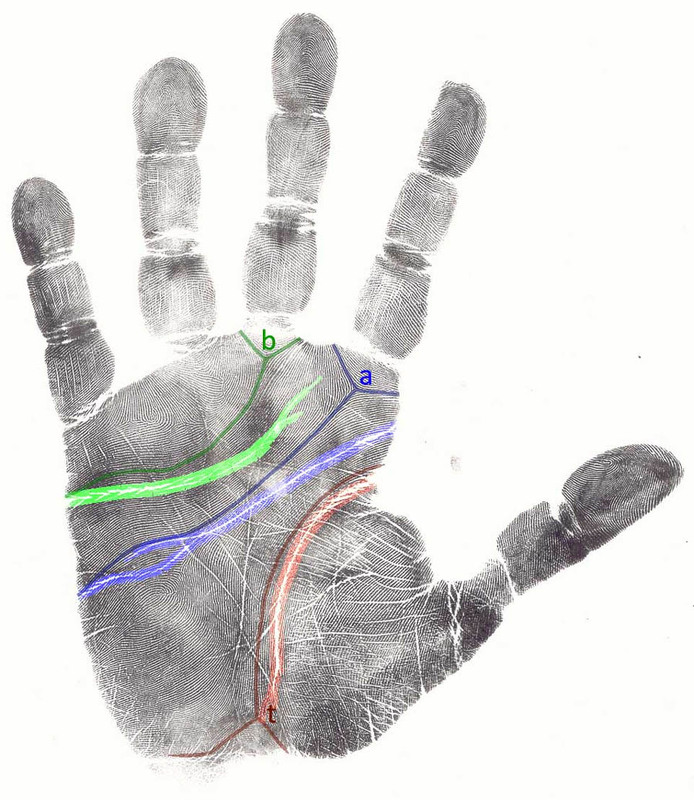 Nisha Ghai answers in her article the question: ‘what makes palmistry a science?’, and she describes how classic palmistry developed into the modern science of palm reading. 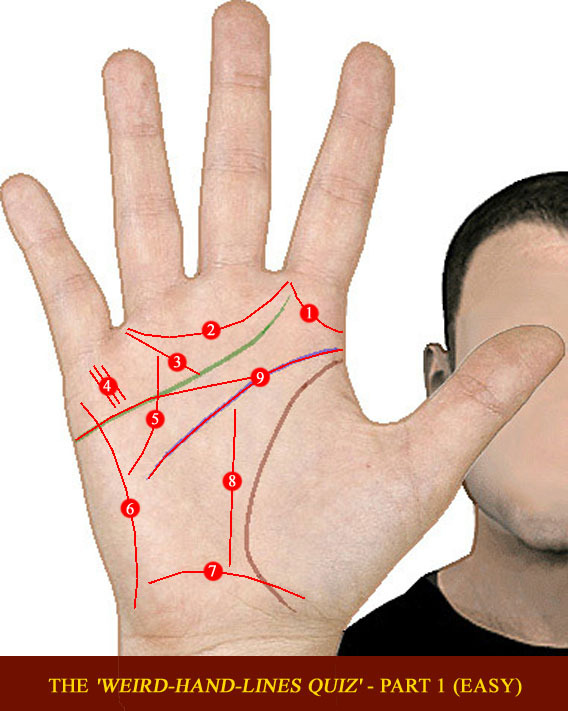 1) How scientific is palmistry? 2) How do the hand lines develop? 2) Do the hand lines change? 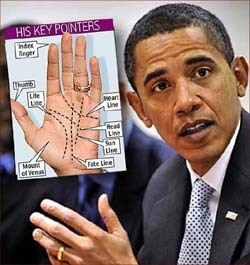 3) Which hand does the palmist examine? • 24 Percent of Indians consult a palmist! 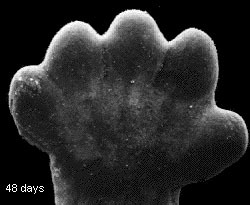 • Hand facts: what are basic characteristics of human hands? • Is finger length measurement the new Chiromancy? • We are all one: Hindu palm readers push you along a spiritual path! Lifeline research confirms Cheiro’s theory: how long is your line of life? 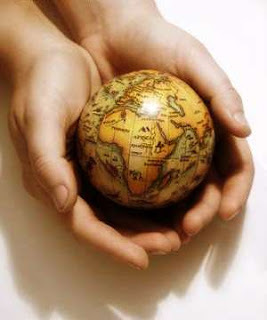 Palmist Cheiro said: the lifeline relates to the length of life. 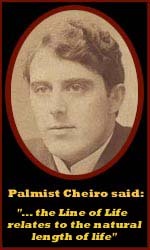 When Cheiro – the ‘Godfather of palmistry’ – died he had a pretty long life line. But did his life line correspond with his age at death??? 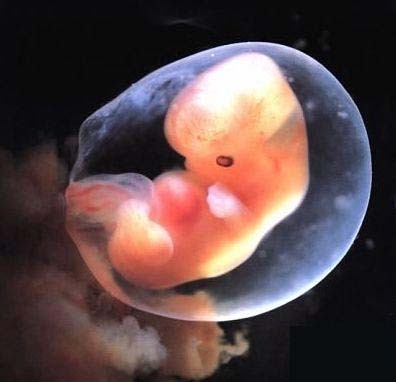 Researchers developed a formula to find the ‘age at death’ via the lifeline only! In 1990 British 3 researchers performed a study focussed on the length of the lifeline in 100 cadavers. They developed an interesting method – with a piece of rope – to measure the lifelines, and the result were very significant: Cheiro’s theory appeared to be confirmed by the length of the lifelines of those 100 death people! The ‘double blind’ study was done with great care, and the results found the newspapers all over the world. How come that the study was never continued with a follow-up research? • Palm reading: is palmistry a myth or reality? • Scientific research confirms Cheiro’s lifeline theory: longevity relates to length of the life line!? Palmist Suzanne Mitchell Egan reads hands in Cairo: palmistry in Egypt! Suzanne Mitchell Egan lives in Cairo and together with an Anglo-Egyptian team she presented in 2007 the first ‘Mind, Body and Spirit Festival of Giving’ ever to be held in Egypt. Suzanne is also founder member & board director of the newly charted Rotary Club of Giza Cosmopolitan. Palmist Marcello Meneses reads hands in Sao Paulo, Brasil! Marcello Meneses is involved in the fields of palmistry for over 14 years, and he read more than 11.000 hands! 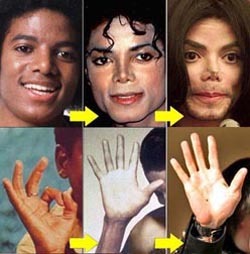 He has developed his knowledge about the hands from 4 sources, including: palmistry sources from Europe, China & India. What is the purpose of reading hands? 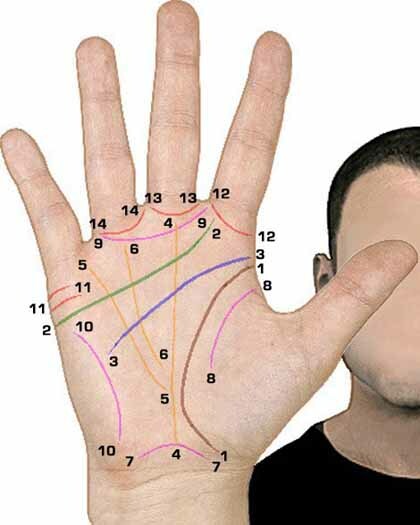 * Palmistry: 16 gift markings in your hand! Handshake Knowledge & Scientific Hand Reading! Scientific Hand Reading & Handshake Knowledge. In 2008 Xlibris presented two books of Irma de NaGy, who was a student of the famous US. 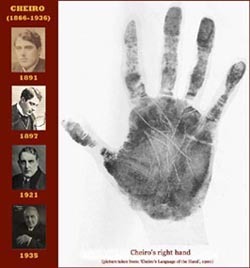 palmist William G. Benham. 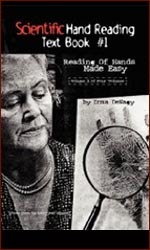 Irma De Nagy’s books ‘Scientific Hand Reading’ & ‘Handshake Knowlegde’ provides more insight about the fascinating modern science hand reading & the basic principles of palmistry. With over 1900 illustrations to help facilitate the reading of hands, ‘Scientific Hand Reading’ makes it easy for anyone to learn the basics of reading hands. In 1952, Hungarian hand reader Irma de NaGy graduated from palmist Dr. William G. Benham’s New York Institute for Vocational Guidance, which covered the scientific study of human hands. Benham is the author of the so-called ‘bible of palmistry’: The Benham Book of Palmistry.